Buying or selling a home is a complicated process. And you can make it even more challenging when you make some of the more common buying or selling mistakes. Just ask your local real estate agent. You can bet that the agents selling homes in your community have seen plenty of mistakes from both first-time buyers and sellers, and those who have bought and sold homes several times. The biggest mistakes that buyers make? They waste time touring homes that are out of their price ranges. Then, when they have to look at homes they can actually afford, they're disappointed. That $180,000 home doesn't have the same modern kitchen or sprawling master bath as that Colonial listing for $300,000. The best way to avoid this mistake is to get pre-approved for a mortgage loan before you start shopping. During the pre-approval process, you'll submit documents such as copies of your last two paycheck stubs, your last two years of tax returns, and your most recent bank account statements to a lender. That lender will study these documents, run your credit, and let you know exactly how large of a mortgage loan it will give you. You can then use this information to visit only those homes that you can afford. Sellers want to get the most profit out of their homes. That's understandable. But too many of them try to list their homes for a price that's too high for the market. They hope that at least one buyer will make a higher offer. And if one doesn't? Then they can simply lower the price. But this is a flawed strategy. Buyers today won't make an offer on a home that is priced at $250,000 when other homes in the neighborhood are selling for $200,000. Instead, they'll ignore the higher-priced home. Sellers, then, will see their homes languish on the market for months before finally lowering their price. By the time they do, buyers see that the home has been sitting on the market for months. They'll naturally start to wonder what's wrong with the property, and might be hesitant to tour it. The better move? Listen to your real estate agent. Your agent will show you the sales prices that similar homes in your neighborhood have fetched. You can then set the right asking price: One that attracts offers and leaves you with a solid offer. Buying a home takes time. Your agent knows this. Unfortunately, too many buyers don't. Some buyers simply have unrealistic expectations on how long it will take them to buy a home. Then, when the process takes longer than they expect, they tend to get desperate. They might make offers on homes they don't truly love just to speed the process along. The better approach is a patient one. Give yourself plenty of time to find your new home. If you need to move by the end of the summer, don't start looking on June 1. Instead, start looking March 1. Selling a home is not the same as living in a home. When you're selling, you need to keep your home clean at all times. Spotless. You can't let dishes pile in the sink or clothes overflow in the laundry room. You need to clear out extra furniture and personal mementos to make your home look as spacious as possible. 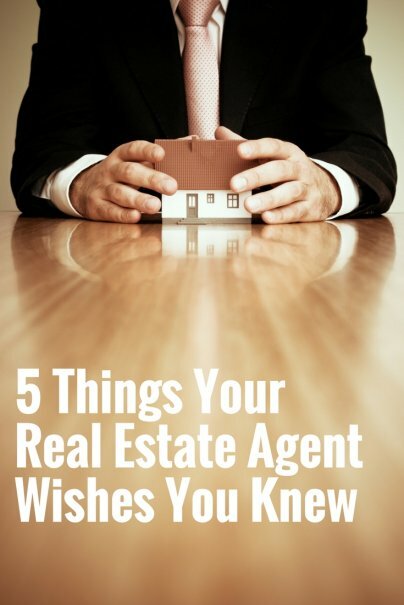 You also need to be willing to leave your home whenever your agent calls with news that buyers want to tour it. This can be inconvenient. But it's important to show your home to as many potential buyers as you can. It's the only way to receive the highest number of good offers for your property. So don't refuse a showing, even if it comes at the last minute. Yes, it's a hassle to give your home a last-minute vacuuming and then to head off to the mall for the day. But it's a necessary step to getting that home sold. It's easy to get annoyed when buyers make a lowball offer for your home. Buyers might offer you $150,000 for your home that's listed at $250,000. But don't get mad — simply make a counter offer. If the buyers refuse to go any higher, then you can refuse their offer. Don't give in to the temptation and cut out the buyers prematurely. Yes, their offer might be annoyingly low. But that doesn't mean that they won't eventually make a counter offer that will work for you. If you let your anger cut off negotiations too early, you might never get that solid offer. Have you made these — or other — real estate mistakes? Let us know in comments! Unless you are using a buyer's agent, real estate agents have a fiduciary duty to the seller. That means that any information you give them, they are required to use that information for the seller's benefit. Keep your finances to yourself, and don't state the maximum price you are willing to pay when you make an offer on a house.